Senator George Mitchell delivered his first Maine presentation on current Middle Eastern issues since completing his duties as Special Envoy. He offered his unique perspective about the recent events in the Middle East, including the recently deposed dictatorships across the Arab world. 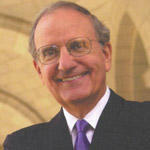 Senator George Mitchell's talk is entitled "Understanding the Middle East and Its Significance on the World Stage." He discussed how turbulence in Arab politics will have both direct and indirect effects on the U.S. And despite the many obstacles to peace, Mitchell shared why he remains optimistic amidst the current turmoil. He was joined by USM President and Middle Eastern scholar Selma Botman, who offered commentary. The senator has been involved in the Middle East in many capacities since he retired from the United States Senate in 1995. In 2000-2001, he served as chairman of the Sharm el-Sheikh International Fact-Finding Committee to examine the crisis in the region. In 2009, President Barack Obama appointed him to serve as Special Envoy for Middle East Peace, a position he held until this spring. Botman, who holds a Ph.D. in history and Middle Eastern Studies from Harvard University, has served as an affiliate at Harvard University's Center for Middle Eastern Studies. She has taught at both the graduate and undergraduate levels, published articles and books, and was interviewed extensively during the emergence of the Arab Spring. Wright Express founded the Leadership and Creativity Event Series in 2010, which this program was a part of, to provide an annual forum at USM for leaders of national or international renown, and to raise scholarship monies. This talk was recorded October 5, 2011 at USM in Portland. Retired U.S. Marine Gen. James L. Jones, who served as the first National Security Advisor in the Obama administration, called for the U.S. to back NATO when aiding future revolutions abroad, as it did in Libya. Jones' remarks were delivered during the William S. Cohen Lecture at the University of Maine. Mr. Van Buren's talk was entitled Lessons from the "Reconstruction" of Iraq. The Mid-Coast Forum on Foreign relations hosted a talk by Sa'ad Ibrahim. His topic was Egypt. Sa’ad Eddin Ibrahim is an Egyptian American sociologist and author. He is one of Egypt’s leading human rights and democracy activists, and a strong critic of former Egyptian president Hosni Mubarak. This talk was recorded April 19, 2012 in Northport at Point Lookout. The Mid-Coast Forum on Foreign Relations recently sponsored a talk by James P. Farwell entitled: The Pakistan Cauldron. An expert in strategic communication and operations, Farwell has advised various state departments about terrorism in the Middle East, Africa and Pakistan. Farwell will speak about Pakistan's changing political dynamic and its importance as a global ally.